A new bill introduced in the Senate this month would establish Tule Lake as a National Historic Site, making it the third internment camp that held Japanese Americans during World War II an official historic site. 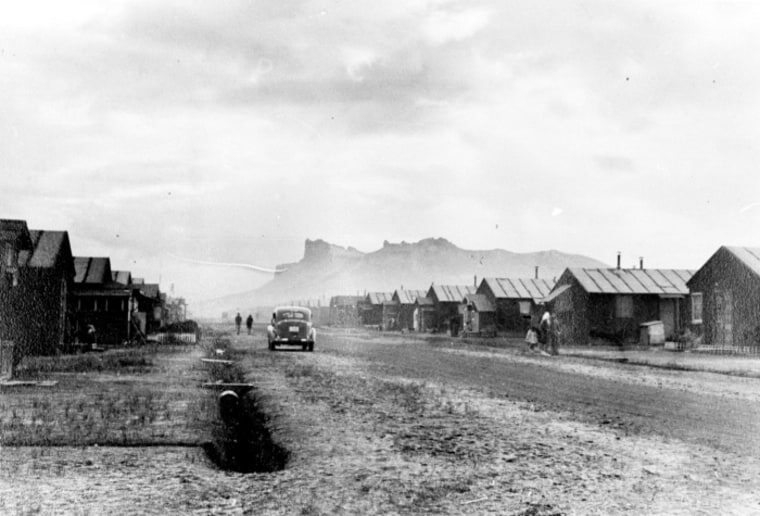 For nearly three years during World War II, the Tule Lake Segregation Camp served as a destination for already interned Japanese Americans deemed particularly disloyal to the United States. It would grow to be the largest of 10 internment camps, but to date it hasn't been recognized as a standalone historical site like the internment camps at Manzanar in California and Minidoka in Idaho. "This legislation will give Tule Lake the national recognition it deserves, while honoring the tens of thousands of Japanese-Americans who were forcibly relocated and incarcerated in one of our country's darkest moments," Sen. Barbara Boxer (D-CA), who introduced the bill, said in a statement. At its peak, the camp housed more than 18,000, many of whom refused to take loyalty oaths issued by the federal government to protest their internment. In total, more than 110,000 Japanese Americans were held across the 10 camps during the war. The effort is being greeted with praise from the descendents of those interned at the site. The Tule Lake Committee, which works to preserve the site as well as runs biennial pilgrimages to the camp, says it is an acknowledgement of a Japanese-American story that’s been overshadowed. “I grew up in Michigan, and the story was that Japanese Americans didn’t protest, that they went to the camps like sheep, and were obedient, and had a good time, and got out, and did well," Takei, whose mother was interned at Tule Lake, said. "Tule Lake revises that wartime narrative. That's why we want to preserve it. To have the government telling that story is an important recognition." In the mean time, the Tule Lake Committee is currently working to preserve more of the site — it's currently conducting an architectural study funded by federal grants and private donations on the best methods to preserve the aging concrete buildings, Takei said. By the next pilgrimage, currently scheduled for July 2016, the Tule Lake Committee hopes to be able to announce the study's completion. "It’s a way of honoring your ancestors," Takei said. "It’s a way of remembering and preserving the history. Sometimes people use [the pilgrimages] to scatter ashes over the site. They’re very powerful places of remembrance."